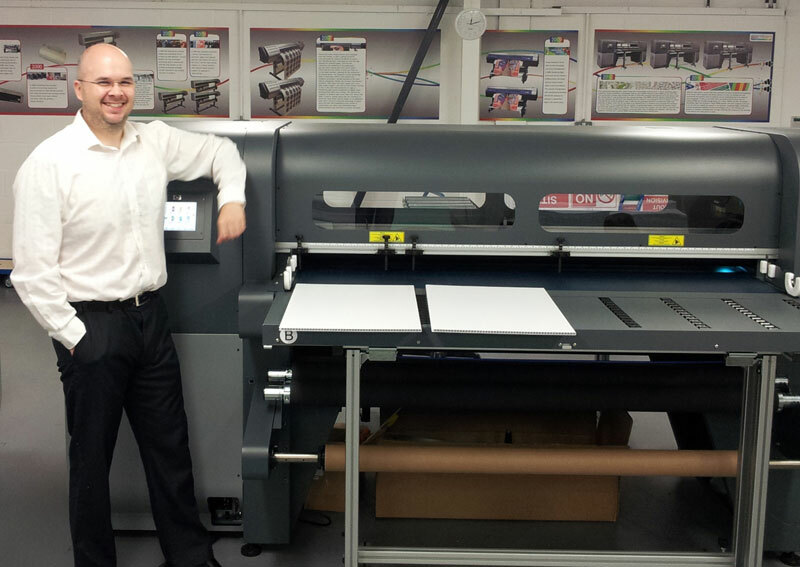 Glendining Signs of Reading has installed a third HP Scitex FB500 Industrial Printer in order to meet customer demand and to take advantage of direct-to-substrate digital printing. The company, which began selling safety services and equipment in 1979, has since evolved into a full-service digital sign company offering flexible and rigid signs for a broad range of customers. The HP Scitex FB500 Industrial Printer uses piezoelectric printheads to print up to six colours, one of which can be an optional white, while the variable drop size gives excellent print quality, sharp lines, text and smooth tones. 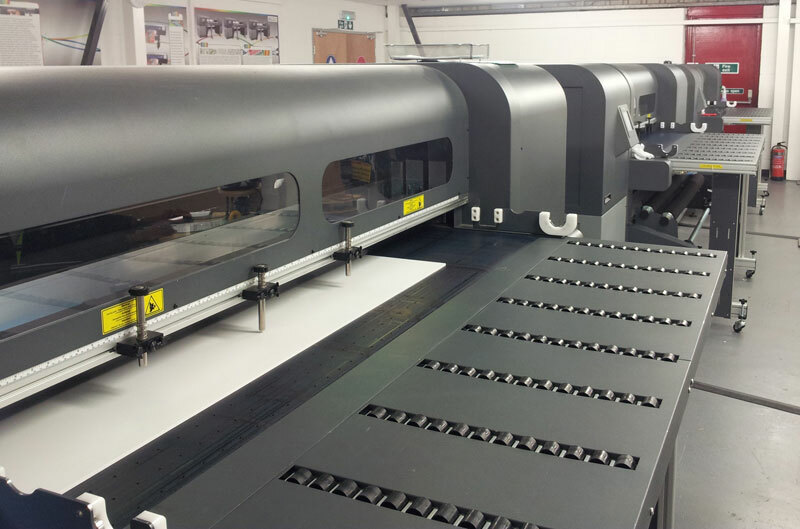 The press has the ability to print at speeds up to 29.6m2/hr for outdoor signage, and up to 16.4m2/hr for indoor applications, delivering high productivity and throughput. Being able to print direct to substrate meant that sticking vinyl onto rigid substrates was no longer necessary thus increasing the company’s productivity while reducing production and factory space costs. About 80 percent of the company’s production is on to rigid substrates, so the savings had a significant impact on the business. The most common rigid substrates used by Glendining Signs include 4 and 10mm Correx, foam board and Dibond. Common flexible substrates printed include various types of vinyl, PVC banner and mesh banner materials. To illustrate the benefits of digital production, Chris explained how a customer request for acrylic door numbers opened a new market for digitally printed signs using the FB500. The customer approved the sample and told Glendining Signs that it was better than the original and thus, it was able to fulfil the order at a competitive price while also achieving a fast turnaround. “Since then, we have had repeat business from this customer for more acrylic signs and we are now marketing these signs to others,” said Chris. The decision to add the third FB500 required a major change to accommodate the new printer, having squeezed the second printer into existing space. At the beginning of 2013, Glendining Signs decided to convert one of its warehouses into a new print room and to move all three FB500 printers into it. NextICON’s investment in people and training recognised.